No supplier, distributor or brand has been identified as the source of the outbreak, which has sickened at least 109 people. Ground beef may be the culprit in an E. coli outbreak that has sickened at least 109 people in six states, according to an update on Friday from the Centers for Disease Control and Prevention. The outbreaks began early last month and have been reported in Indiana, Ohio, Kentucky, Virginia, Tennessee and Georgia. Each state shares a border with another on the list. At least 17 people have been hospitalized. No deaths have been reported. While investigators said ground beef was the likely culprit, they have not yet been able to identify a supplier, distributor or brand as the source of the outbreak. The people who were sickened by the E. coli O103 strain reported eating ground beef at home and in restaurants, making the investigation more complex for investigators who are trying to find the source. This is the third largest multi-state E. coli outbreak reported in the past two decades. E. coli symptoms include stomach cramps, bloody diarrhea and vomiting. They often present themselves three to four days after the bacteria enters a person's body. 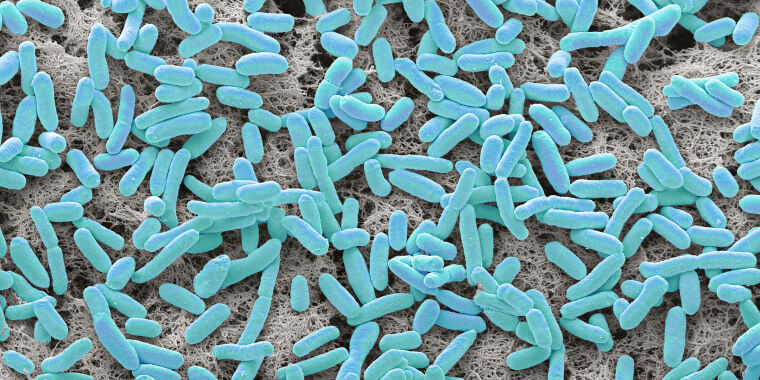 Most people can recover in a week, however in some cases, the bacteria can be deadly. The CDC is not recommending people stop eating ground beef, but is reminding the public of basic food safety rules. Those include cooking ground beef to an internal temperature of 160 degrees and keeping raw meat separate from other foods that won't be cooked. It's also important to wash cutting boards, counter tops and utensils that touch raw meat with soapy water or a bleach solution to remove the germs. Finally, always wash your hands with soap and water after handling raw meat.